Rotorama Wasp ARF is our new 6S racing set for the 2019 season, designed by the top-class pilot Jakub Toman in collaboration with Peter Homolka. 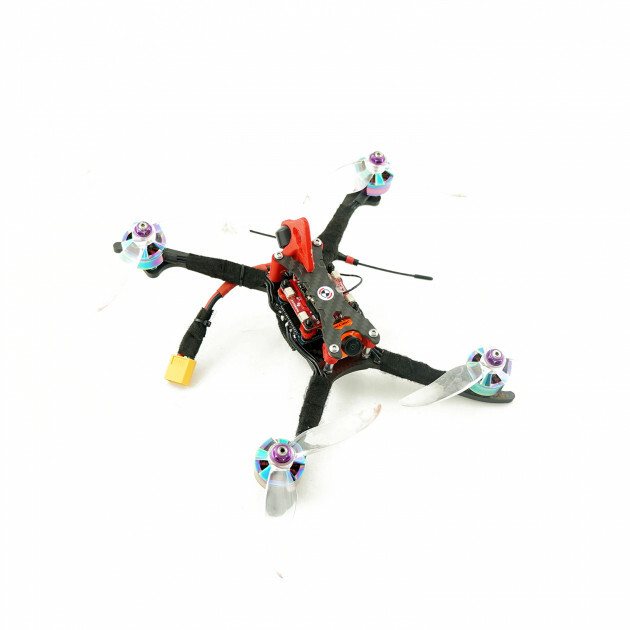 The Rotorama Wasp carries the idea of a simple, light and durable frame designed primarily for racing tracks. 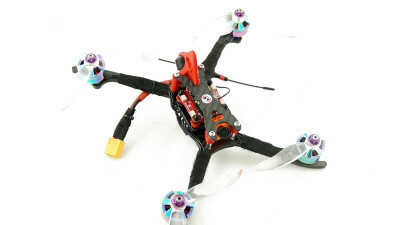 The frame is unique in its geometry: The front has 5" stretch-X arms and the back arms are true X and hold up to 6" propellers. As a result, rear motors and propellers get less turbulent airflow, which in turn increases the stability and efficiency of the copter. The arms are made of 5mm carbon for maximum durability. The pointed ends, which are typical for Rotorama frames, provide a very proven protection for the motors during crashes. Front and rear arm-pairs are made of one carbon part each. When an arm breaks during a really tough crash, it is sufficient to undo two bolts and the arm-pair can be freely pulled out and replaced with another one. You can be back in the air in a few minutes. The ARF set contains the components for the construction of the copter, you will still need an RC receiver suitable for your system. If you do not feel like building the copter yourself, we will be happy to assemble it for you within a few days. Simply order kit assembly together with this set.